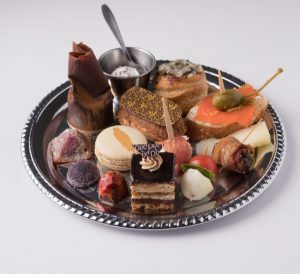 A special Valentine’s tea service for two, consisting of 20 sweet and savory bite sized treats, two pots of Townshend’s tea and two glass of sparkling wine. Saturday and Sunday, February 9th and 10th. Seatings at 2PM and 3:30PM. Reservations are required.